Never Be Late To An Important Meeting Again. Our chauffeured DC corporate car services can assure you that your clients, colleagues and guests will be taken care of. We provide excellent airport, hotel and event transportation that will exceed your expectations. Our luxurious corporate car services fleet can chauffeur up to a very large group and is also available on short notice for multiple vehicle requests. Our reliable and professional corporate car service drivers are always on time, know the area and are accommodating when your plans change. We provide easy meet and greet at the baggage or security area and take care of your luggage, so you can relax. Unwind in the back of a luxury lincoln town car service or limo services and make phone calls in a private and calm atmosphere. With our Columbus limo service you can create a lasting image of importance and impress your colleagues. Why A Washington DC Corporate Car Service Is Essential? Whether you’re a business executive, an administrative assistant, work in human resources, or are tasked with finding a reliable Washington DC corporate car service. 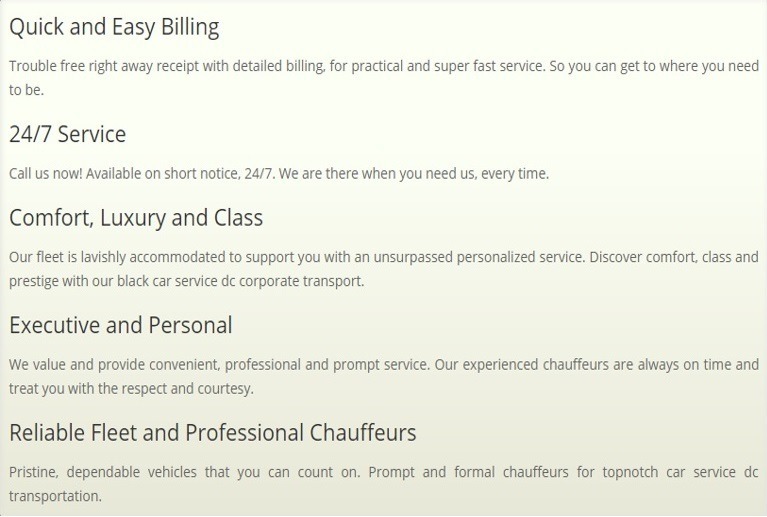 Nationwide Chauffeured Services is the best option for many reasons. First and foremost, we are one of the most reliable and affordable companies providing transportation services to corporate clients. We offer immediate billing, which can be important for helping you track your transportation budget in real time. Being an experienced company providing airport and corporate car service regularly, we understand what corporate trip expect, and we deliver on those expectations. Our commitment is to your schedule as well as your freedom to focus on one another. Expect to be prompt, without a barrage of hassle. As evidence, our corporate car service drivers watch flights remotely rather than depending on the airline provided schedule. If plans require adjustment, we deliver via customer support representatives 24/7. Your ride is as close as your smartphone, so if you determine that your corporate trip could benefit from previously unreserved transportation, book before you touch down wherever your destination may be. Vehicles for group travel must be spacious and dependable with comfort-enhancing amenities. 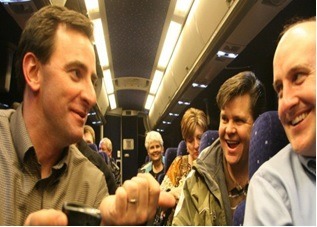 Our charter buses include recliner seating, allocated space for baggage, and plenty of passenger space. In addition, we will include water and an on-site coordinator. Our entire collection of machines is extraordinarily maintained with comprehensive insurance coverage, so whether you require a limousine, charter bus, party bus, or DC Corporate Car Service, we provide the right machine for your wedding party plans. Any number of passengers or tone of plans will find a suitable machine from among our fleet, and all options are consistently ready per performance and appearance. Just as with corporate limo service, Business trip benefit from DC car service in both the keeping of time as well as the liberty to focus on what matters. Our corporate limo service drivers have a high degree of familiarity with the local areas served, in particular those places to avoid and best routes to take. They have the training and vetting needed to entrust your business trips memories to their professional endeavors. Our safety and reliability is second to none when it comes to DC corporate car service. We hire only the safest, most experienced chauffeurs in the industry and put them through regular safe driver training and consistent drug testing. Our vehicles are all late model, incredibly well maintained and clean. This means any employee or executive who is heading to a high-powered meeting, to or from the airport, or some other special event will enjoy a smooth, comfortable ride where they can get work done, make phone calls, or simply relax. Corporate Car Service Transportation should exemplify all of the characteristics and traits your company holds up as a prime example of exceptionalism. Nationwide Chauffeured Services believes it does just that. We can handle last-minute reservations, have the latest GPS navigation equipment installed on every vehicle to ensure on-time service every single time, and are one of the only transportation companies to offer 24 hour a day, 7 day week customer service and support. No matter when you’re calling or when you need this ride, call us 800-942-6281. We’ll show you why we are the best Executive limo service and corporate car service around.